Doctor clipart with different medical tools. 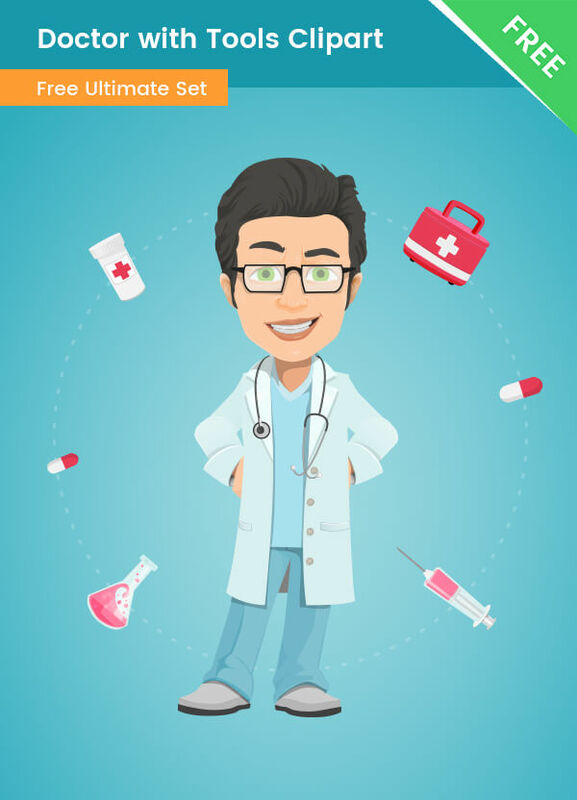 This male doctor clipart is a great addition to any medical, doctor and healthcare themed design. This clipart comes for free, so you don’t need to pay a penny for it. This doctor is made of vector shapes, so you can easily modify the colors to fit your design’s theme. In the pack, you will find a cartoon doctor, pills, briefcase, syringe, tube, bliss pills.